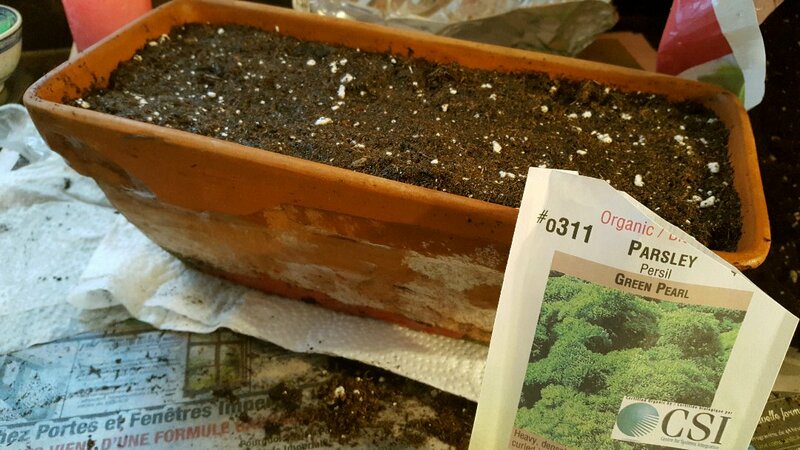 I decided yesterday evening, the heck with waiting...I'm starting my garden! Well, at least my window garden! 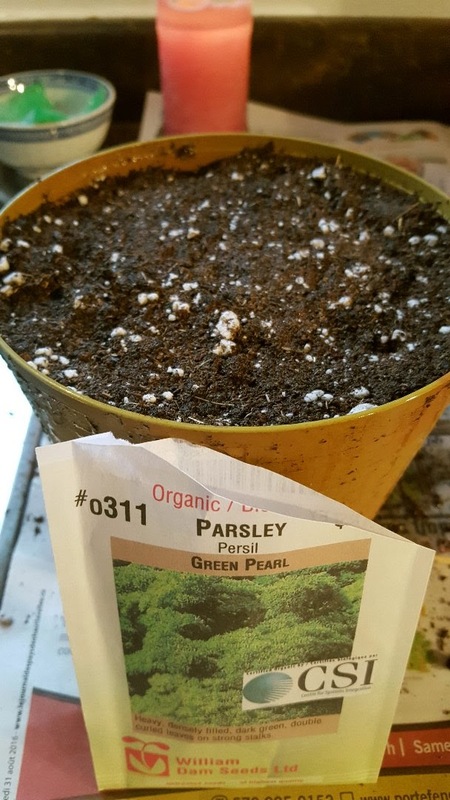 :) I planted parsley in two pots, I use a lot of that and my old plant died in January. After reading a little more about cold weather crops, and with a suggestion from my Year Round Vegetable Gardener book...I decided to start some spinach and beets. I only did 6 pots of each with 2 seeds in each pot as a trial. 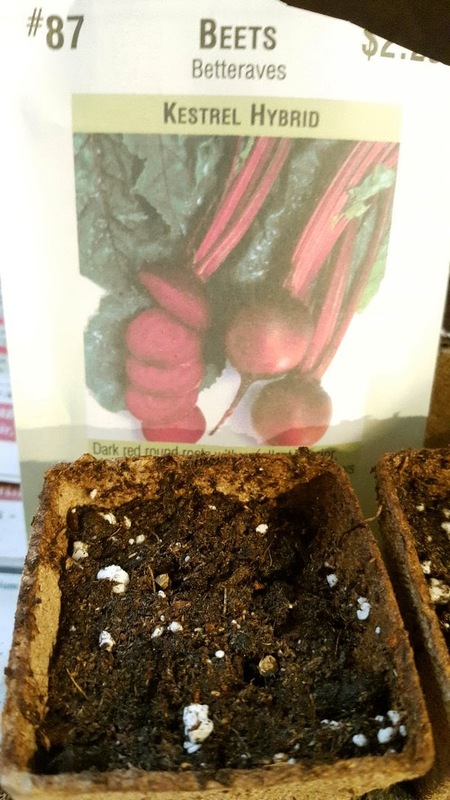 In the book, the author says that these two (of many) crops will withstand frost and cold weather, so I'm going to transplant these outside when they are ready - despite the weather. I'm hoping that I will have something to harvest in late May when I'm starting to plant my summer garden. 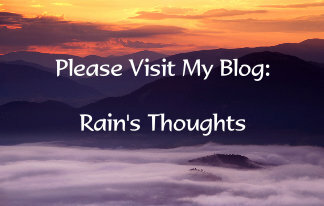 I'm trying to implement the ideas of the year-round gardening! The basil is coming up nicely! 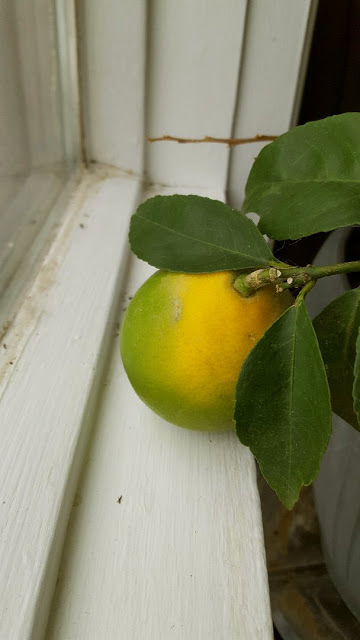 And the original lonely lemon is gradually continuing to yellow! I know it needs more sun and so do I! 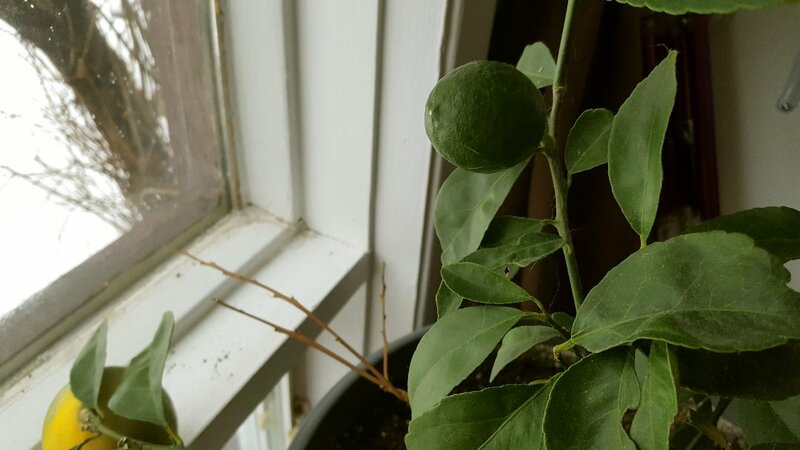 So with the yellowing lemon, I have five growing! The four small ones all started blooming in February. 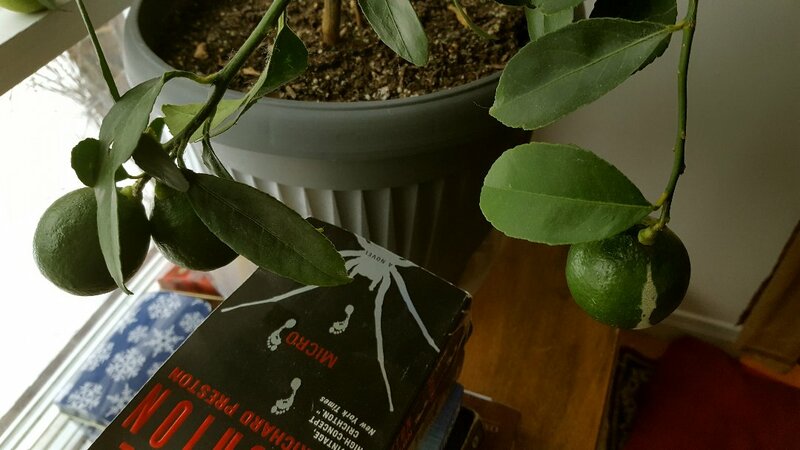 I never thought I'd get lemons. I always thought of them as a southern crop, but it just goes to show that anything is possible!!! So this is my window garden. As you can see, I'm being stubborn...I just don't want to toss the rosemary bush out, even though all bets are on that it's done. I'm going to put it outside this summer anyway. It can find it's way back to the earth! 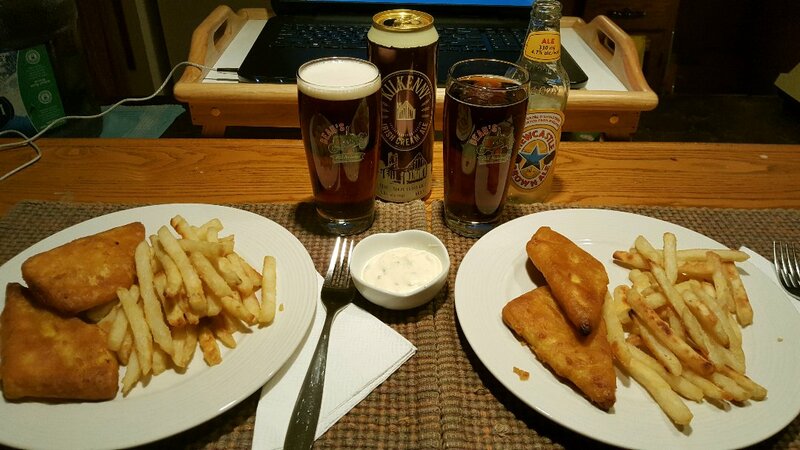 Last night we had the rest of the fish and chips with my Homemade Tartar Sauce. Another Mel Brooks movie under our belt and it was an early night. The wind was howling last night as it poured rain. When I woke up to snow this morning, all I could do was roll my eyes! I've been trying, trying, trying to get some garden seedlings started this week, but life keeps interfering. Today, darn it, it's going to happen today! We hit the hay last night before 9 o'clock as we'd spent the day in the big city for an eye check-up appointment for Papa Pea. Five hours round trip on the road takes it out of us! The snow, the snow, the horror, the horror...but I saw a +16 (60F) in the forecast for next week, so fingers crossed!! I actually decided to stop stalling on the seeds after I read that Susan is making Saturday her seed planting day, I figured...okay, she's made a deadline, I need to do the same! So I gave myself two days! I'm so glad I did it. 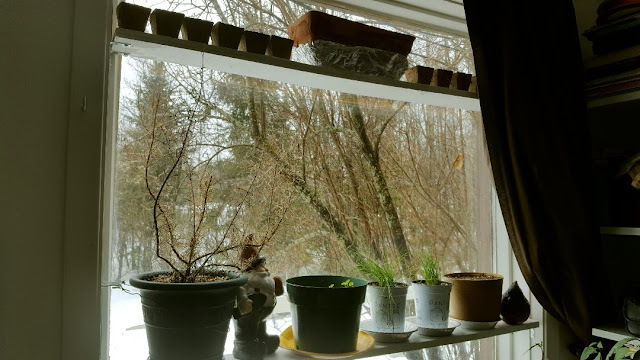 Actually if I did get rid of the rosemary plant, I could put a third shelf in my only sunny window and do a little bit more. It's a thought! OMG...I'm sending you positive and relaxing energy from FIVE HOURS of driving...I'm sure just being in the city is draining too. Whenever Alex and I need to go to the big city, which is Montreal here in Quebec, it's about a 2 hour drive each way and as we get closer and closer, that stomach anxiety begins...it only goes away once we see the mountains again. 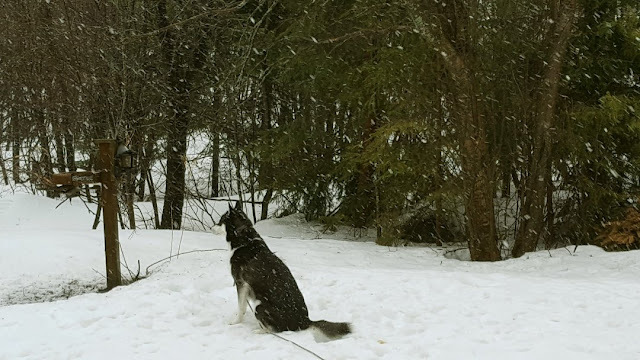 I cannot believe its still snowing!! Come on Winter, time to say goodbye! We were supposed to get to 20 tomorrow but they have gone and changed the forecast (again) to 15. That's ok - I will take it. Maybe it will stretch past 15. Hope springs eternal! Fish and chips are one of my most favorite meals, we have to drive into the city to get it at a restaurant and I just can't fix it as good as they can but I give it a try now and then. Hi Dianna :)) The Mexican dip is awesome! 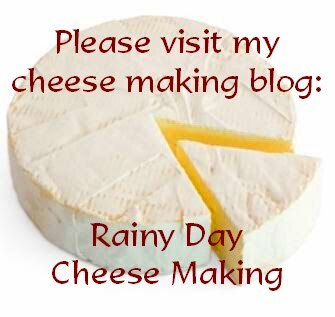 We had just a wee bit leftover for today, but we tend to just overdo it sometimes lol... The fish and chips are actually quite good for store bought. Oh I love Newcastle! It's pretty much the only beer I can drink now. I have a weird allergy so most beers are out, they make my throat close, but Newcastle seems to be okay, some other "red" beers are okay too. It's hard to find a proper fish and chips! I've given up trying! 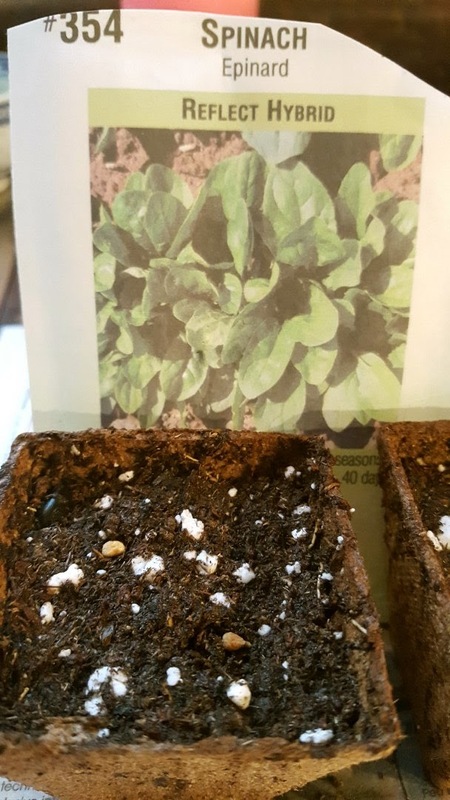 I hope I have success with all of my veggies, I'm keeping hope! I really felt a lot of joy planting those seeds and I would love to do more! But I have to be patient. I just don't have room for more seedlings right now. This darn snow though, what the heck is going on? We really don't ever have these long winters, this will be the first, it's nuts. Hi Lisa :)) Yes, I know how you feel...I can't leave any plants in range of the pets, especially the cats. But Charlie is always sniffing the lemon tree and I know one day I'll find a yellow and green crime scene on the floor...that's the only plant that is low enough for them to get at, though I've barricaded it pretty well! I only have that one sunny window so I'm trying to take advantage of the space as best I can! Hi Gill :))...me too. I LOVE fish and chips! I've tried to make it myself but because we don't fry here, the oven baked kind just doesn't cut it. The fish is haddock, Highliner I think. And we JUST found some nice fries from...Cavendish Farms, extra crispy coated. They really do come out like a restaurant fry and much better than I've ever made! Kymber is it just me? We don't get these long winters here usually. I don't know, it seems too long this year! I was looking back at photos of last year and there wasn't nearly as much snow. We're doing our best. I loved my dinner, I wish I had more! I'm not even going to try to make it myself, I will succumb to the fact that I don't 'do' fish and chips very well. But at least I found a frozen brand worth buying now! Have a great Friday! The fish and chips look delicious. Unfortunately the potential fish for fish and chips we have here is either bass or catfish, neither of sounds "right" to me. I believe lots of leafy greens are general cold tolerant. Good luck. My recently planted parsley isn't sprouting, but they were older seeds I had. I hope to get some new ones soon. It's almost time to till up and plant my potatoes, peas, radishes, and other cold weather crops. Hi Kristina :)) I was hoping I could do some potatoes this season, but I don't want to overwhelm myself just yet! I completely forgot about radishes, Alex likes them a lot and I heard they're a good "beginner gardener" crop because they're easier to grow. I think I'll make that Mexican dip! Yum! 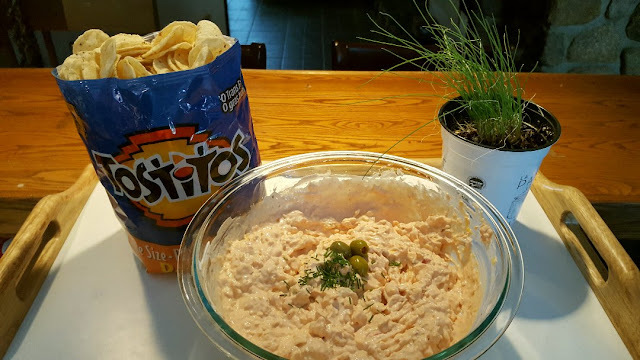 I have tostitos too and all the ingredients...it was meant to be! LOL! I'll trade you weather! I got sunburned yesterday mowing...now my double work load starts with outside and inside work! I love the outside and it was nice yesterday at 65 or 67 but hotter than that and I don't care for it. 65 - 67 F is perfect for working outside and no bugs really at that temp! LOL! 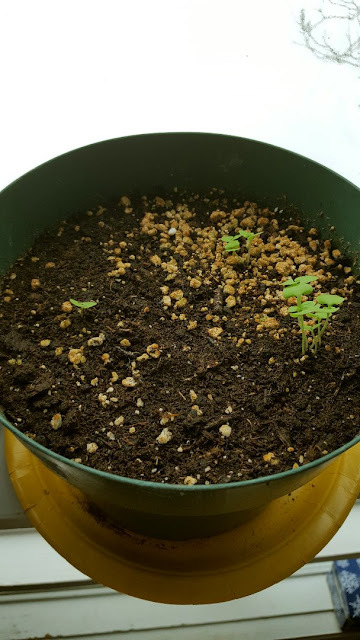 Look at your plants growing! You really have a green thumb for sure! Fish and chips sounds good and I like vinegar on the fries too! Have a great weekend and being in bed with wind howling and rain/snow sounds great to me but I know you're tired of it! Hi Sam :) Thank you! Time will tell if my thumb is really green or not. :) That Mexican dip is so yummy, it's hard to stop yourself though lol...beware! May I say I'm envious of your sunburn? Well, not the pain you must have, but I really could use some sun SOON. I'm grateful we're not in bug season yet as well. At the end of April we're screening in the front porch so I can live out there all summer long! :) Enjoy your weather!